Antoine Griezmann has recently been linked with a move away from Atletico Madrid. It has been reported by ESPN that the French forward has offered himself to some of Europe’s biggest clubs, with Barcelona no longer said to be interested in the player. That leaves the door wide open for other potential suitors such as Manchester United, Bayern Munich and Paris Saint-Germain. Atletico Madrid were knocked out of the Champions League by Juventus after throwing away a two-goal lead from the first-leg. That came as a major blow to everyone involved, though it allegedly made Griezmann decide he no longer wants to play for the La Liga outfit. However, the most useless striker in recent Premier League history believes the World Cup winner won’t leave the Rojiblancos this summer. 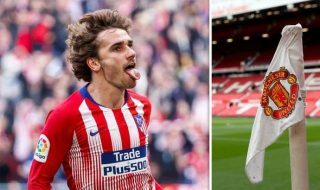 “It does not worry me; we have been very f**ked up by what happened last week [against Juventus], but I see Antoine happy here,” said Alvaro Morata (via Manchester Evening News), now a teammate of Griezmann at Atletico. “I sincerely think so; he is at home, he is our most important player, our flag player. Griezmann has come close to leaving Atletico several times in the past, but he has changed his mind at the last minute on more than one occasions. Earlier this week, Maud, Griezmann’s sister, dismissed reports that the 28-year-old had been in touch with other clubs.